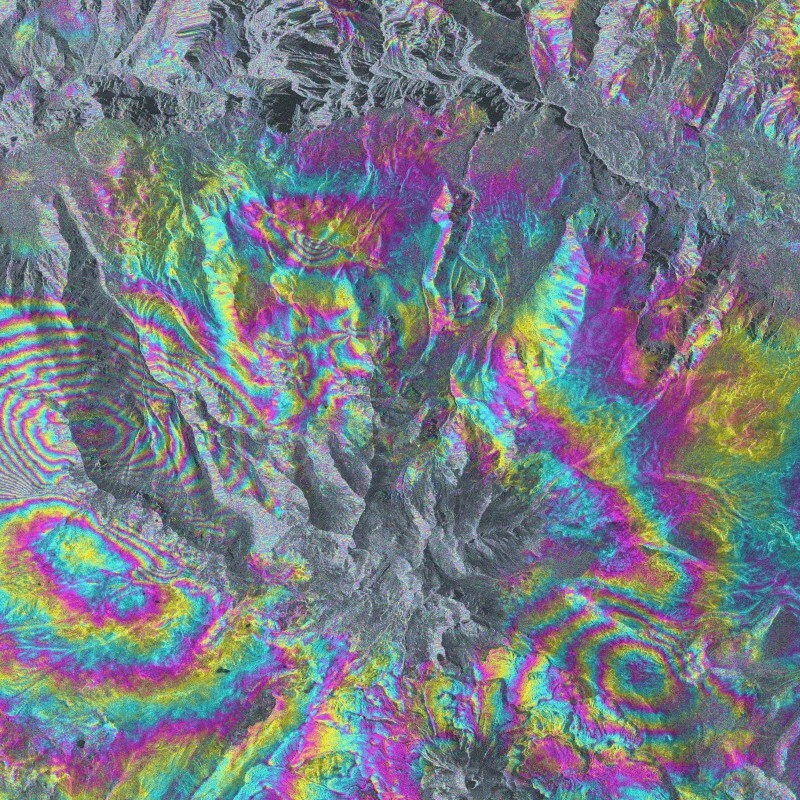 This differential interferogram of the area of Cabanaconde in Peru shows surface movements resulting from an earthquake. The colour gradients are calculated from the phase interferences of two acquisitions (one before and one after the earthquake) and illustrate the surface movements. The site is located in the Andes, over the subduction zone of the nasca plate underneath the South American plate. Thus this region is a geological active zone with frequent earthquakes.